Once again the Humble Bundle is throwing a collection of games at people for less money than the cost of a coffee cup lid. This time that big ol’ Japanese developer Capcom are providing the goods, and naturally that means you can get a spooky house full of Resident Evil action without breaking the bank. You don’t get the actual spooky house though. The first game isn’t here, sorry. Looking for scares that aren’t Resident Evil? Check out of collection of the best horror games on PC. For a mere dollar from your purse, you could be the proud owner of super-speed hack-n-slash STRIDER, the first episode of Resident Evil Revelations 2, Lost Planet 3, and Bionic Commando: Rearmed. 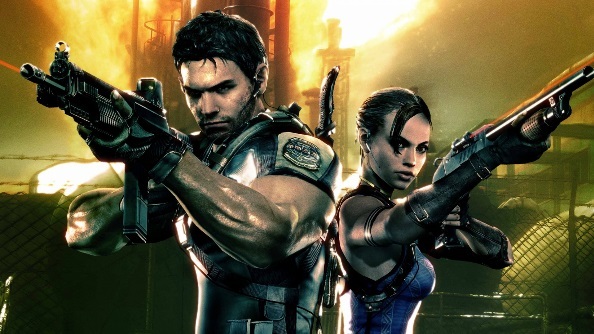 Meet the average contribution price (currently $8.54), and you can grab the first Resident Evil Revelations, Resident Evil 5, and the absolutely wonderful DmC: Devil May Cry. There’s more games to come, too, so if you pay up now, you’ll automatically get the other games when they’re announced. If you’re feeling particularly spend-happy, you can always splash out on the $15 tier, which nets you the Untold Stories DLC for Resident Evil 5, and Ultra Street Fighter IV. Of course, for that price you’ll also get everything else, providing you quite a nice and round collection of genres from the Japanese giant. There’s also a coupon in the bundle that grants you 50% off Resident Evil Revelations 2 at the Humble Store. Handy if you enjoy the first episode as included with this pack. As ever, buying a Humble Bundle allows you to donate to charity. Charities benefiting from this Capcom bundle are DirectRelief and GamesAid. You can also choose your own charity from a selection.